When kooky, spooky college profs Peter Venkman (Bill Murray), Ray Stantz (Dan Aykroyd) and Egon Spengler (Harold Ramis) lose their university jobs, they decide to go freelance, de-haunting New York City witha new ghost removal service. As soon as they open their doors, their first order of business becomes saving beautiful cellist Dana Barrett (Sigourney Weaver) and nerdy Louis Tully (Rick Moranis) , who've inadvertently opened the gates of Hell....right in their own apartment building!! 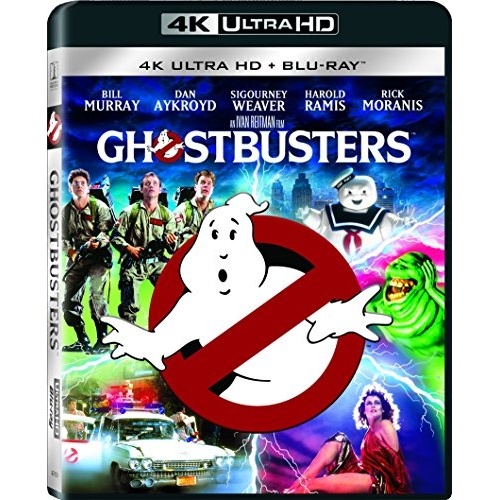 Experience all the particle beams and ectoplasm like never before, in full 4K resolution with High Dynamic Range!